Family is one of the most important things in an individual’s life. Having a cousin that you are close to is a blessing, and when the day comes to celebrate their birthday it is important to remind them how much love surrounds them. Cousins hold an exceptionally unique position in our lives. Often close to our age, they sometimes become like close friends, but they understand us even more because they experience the family dynamic. Cousins share our good times, our bad times and become a special part of growing up. To help inspire you, here is a selection of special birthday messages you can use in your greeting cards or online posts. Many birthday greetings are generic, so take time to be original and truly express how you feel when telling your family member Happy Birthday. 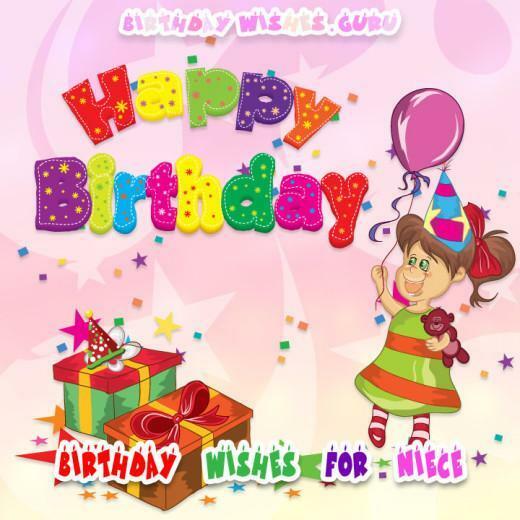 Choose among a large range of unique happy birthday wishes and greetings. Make your cousin smile with a cute way of saying Happy Birthday. Having you for a cousin has made my life full of joy and excitement. You have always been the life of the party and I guarantee your birthday will be nothing less than spectacular. Have a fantastic day! You are not only my cousin but also my best friend. I don’t know what I would do without all your advice and understanding. I love you and appreciate everything you do for me. I can only hope that all your dreams come true on your birthday. My wonderful cousin, another birthday has come around and this time you are not only older but also smarter and more mature. You have plenty of life left in you, so do amazing things with your future. Happy birthday! Today is a wonderful day to express my love and gratitude towards you. Being your cousin has been one of the best experiences of my life. You are more like a sister and I appreciate all that you do. 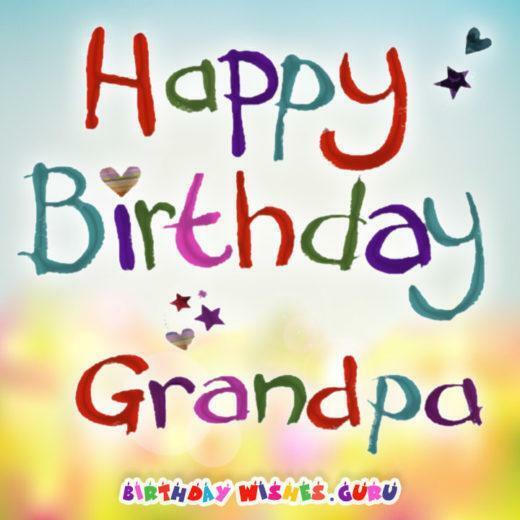 Wishing you a wonderful birthday! Happy Birthday cousin! Let’s celebrate the amazing life you have and the bright future that lies ahead. On your birthday celebrate with the gift of love and give all the people that love you the opportunity to be a part of your special day. Since you were born, you have brought so much joy and happiness to our family. My beloved cousin you deserve the best of everything on this very special day when you were brought into this world. Having a cousin like you is like having a sister and best friend combined. I wish you the best possible birthday. You deserve it! Cousins share family ties, but our friendship goes beyond that. Thank you for being an awesome cousin! I wish you a wonderful birthday! Having a cousin who is so close in age is such a blessing to me. You have always been there for me through the ups and downs, and I want you to know how much I appreciate your love and support. Happy Birthday. Today is a special day to celebrate my cousin’s birthday. As you embark on another year of your life always remember that your family loves you and supports you in all that you do. It’s my favorite cousins birthday! Let your hair down and let’s hit the town for some drinks, dancing and partying. Cousin, on your birthday I only wish I could give you everything you hoped for. I will do my best to make your day amazing and special. Have a wonderful birthday. Your birthday only comes once a year so this is my chance to be sentimental and let my amazing cousin know how much I love you. Your birthday has come again and I need to remind my favorite cousin that just because you are growing older doesn’t mean you have to grow up. Enjoy life to the fullest and all it has to offer. Your birthday gives your loved ones a day to be completely dedicated to you and your happiness. Embrace all the love you feel on your special day and enjoy every minute of it my sweet cousin. Today is your birthday so take time to enjoy yourself. Blow your candles out and believe all your dreams are about to come true. Stay positive and continue looking towards your future my dear cousin. I cannot help but feel sentimental when thinking of you. You helped make childhood extra fun. For this, I wish you as much fun as you can bear on your birthday! Happy Birthday to my favorite cousin! Thank you for all of the good times through the years! May this day bring all your heart desires! 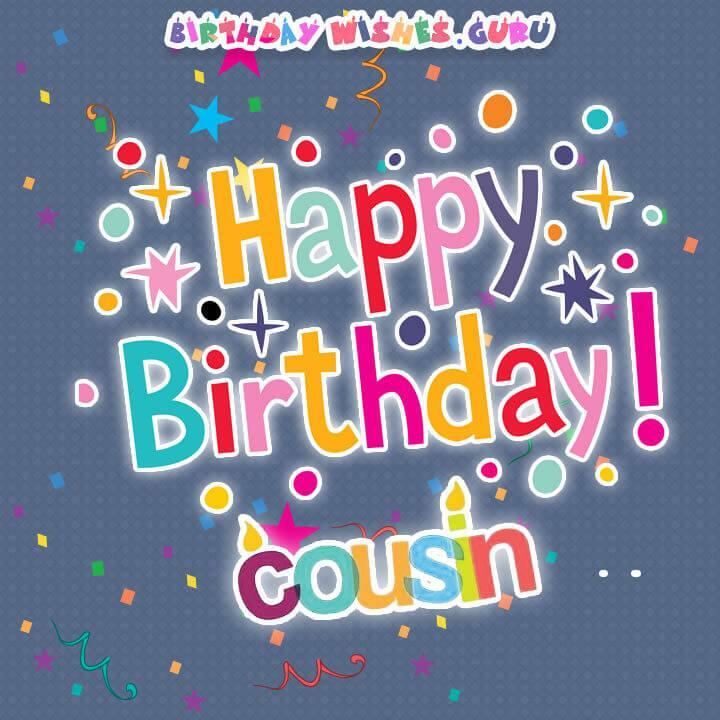 Dearest cousin, I consider you as a big gift in my life and I hope your day is the happiest! You have always been there when I needed a friend who understood our family. May your special day bring all of the beautiful blessings you deserve! They say we’re related, but all I know is you and me are a family. You are more than a cousin; a friend indeed. Happy Birthday my dearest cousin. Being by your side on this memorable day is not by luck; it is a joyous moment to share this birthday with you cousin. Have fun as you grow old cousin and happy birthday. The world has smart and great people. You are one of them and today you are a year old. Live your dream and have fun on this special day. I love you dear cousin and happy birthday. Am glad to be among the first to wish you happy birthday cousin. I have so many cousins in this life, but cousins who are friends are few, and you are among them. Happy birthday to my friend and cousin. There are secrets only me, and you know; one of them is that we rock the world when we’re together and today is one such day as we celebrate your birthday. I know you are growing up but to me I shall always know you as the dearest, smartest and youngest of my friends. Rock the world today cousin and make life on your birthday. Related by family but connected by our values! I’m so happy you are my cousin. Have a fabulous birthday and a great year ahead. You deserve all the happiness and joy today. It is always awesome growing up with a cousin like you. I trust it is not going to change as you turn twenty today. Find the joy and make the most on this birthday.